It is worthwhile to be in a business that is fun, creative and highly profitable all at the same time. Great Clips offers you the opportunity of a life time where you can follow your passion and explore your creative side, while reaping high profits too. If the hair business sounds interesting to you for investing, now is the time to pay close attention. Started in 1982, Great Clips has always been a pioneer in hair cutting techniques. Having modest beginnings, the hair store quickly found a loyal customer base within its first three months of operation. The company observed the growing trend in the market and started franchising out almost immediately, reaching out to a broader market. This proven model and experience is very helpful to launch a successful investment. To explain further, Great Clips franchises are a great way to enter the hair and salon industry. According to a recent study, the industry is projected at an annual rise of 3.2% in revenue growth through 2019. Obviously, you always want to ensure a proper growth potential for your business and profit margin ratio. However, since this is a local business, your revenue potential could be even higher if you choose your location properly. Undoubtedly, Great Clips can help you break into a market with growth opportunity. In addition to revenue growth, Great Clips incorporates innovative methods into their business. As a Great Clips franchise business owner, you will get access to these new methods that set your business apart from the competition. Let us face it. Cutting hair can be done be a lot of people. With new methods and tactics, your business would always be on the “cutting” edge. With Great Clips, you can have an innovative approach that customers would surely appreciate. Moreover, the franchise competes in an evolving market. As you can imagine, hair styles are like the latest designer shoes or hand bags. When something is hot, it is really hot. Everyone wants to be in on the latest style and looks. Great Clips gives you the opportunity to take advantage of these waves and profit from them. Sounds like a great investment, right? Great clips is surely one of those successful businesses that observes and identifies the growth opportunities. Thus they can come up with innovative ways to find connections with their customers, every time. From online check in, providing hassle-free online customer services to clip notes, that keeps an online data for regular customers, Great clips would provide you with a number of options to keep your customers satisfied. The franchise company prides in its network of over 3700 stores which obviously would not have been possible without the great benefits that it offers to its franchisees. Great clips provides intensive training to your team, taking care of the employment routine and salon software setup. According to the company, nearly 40000 applications are received annually through its centralized employment portal. Great Clips also ensures thorough support your entire ownership period, keeping you connected to one of the largest online communities in the market. Surely, they are one of the most franchisee friendly businesses in the nation. Great clips franchises have an established name that come with a price tag. Just to buy into the franchise, you have to pay over $20,000 in franchising fees. Plus, you will need another $20,00-$25,000 for franchise marketing and the grand opening. When you calculate for nearly $100,000 in leasing and renovation costs, it can be an expensive venture. However, they do have a business model and proven system that works for franchisees. If you would like to buy an established name like Great Clips, you should consider investing in the high upfront costs for a return in the long run. Hair stylists looking to open their own salon franchise should certainly consider Great Clips if they are ready for the investment. However, if you are a stylist yearning to go out on their own and freelance, you may want to look into an opportunity like Sola Salon. 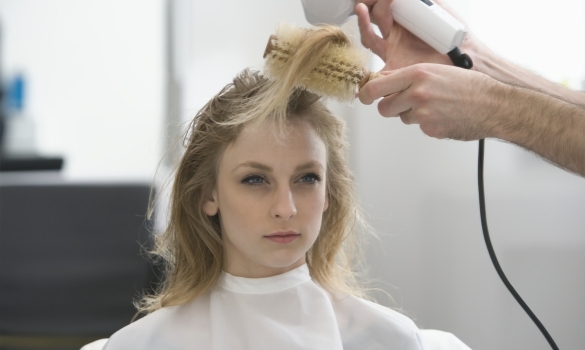 Sola offers hairstylists the ability to rent out individual space in their high-end salons. This way, you can experience the freedom that comes with owning your own business, without the exorbitant start-up costs. If you are a young hairstylist with an entrepreneurial mindset, consider getting more info on Sola Salon. With so many benefits and support on deck, Great Clips offers you the opportunity that you have been waiting for. The franchisees are completely manager run, so you can also keep your present job and earn some extra bucks on the side. The company is looking for expansion partners right now so you would not want to miss out on the opportunity. After all, you probably know that all good opportunities do come with an expiration date.